and went with one for the "boys"
I think you can relate to this card..lol! "critters" he brought home to "torment" his sisters with. Even to put a snake in the washing machine! from Frantic Stamper called Jeans Pocket. Can't you see this being a "girlie" pocket, too? for a more authentic "boys" jeans pocket look! did you know Dies R Us has their own brand of dies? They sure do and you could use Dies R Us Frogs. 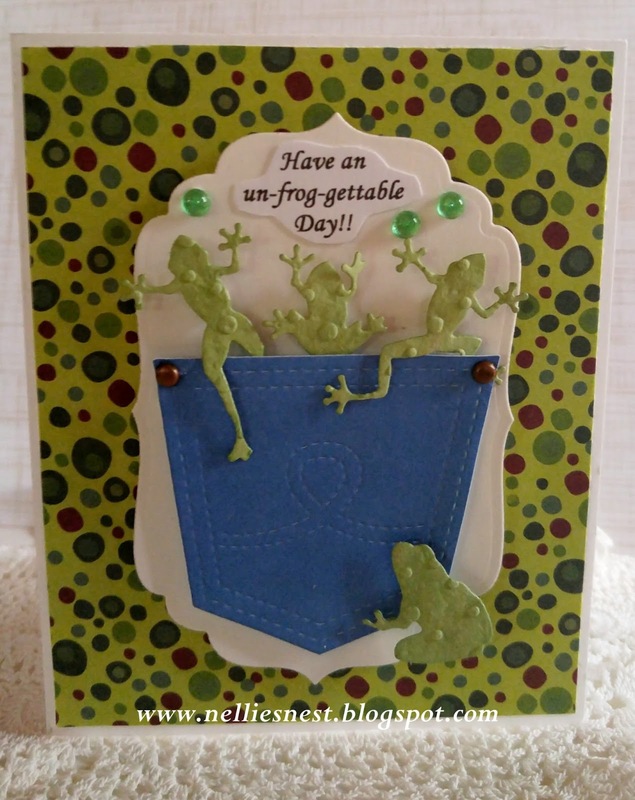 then used an embossing folder for their "warts"
Make sure and visit us Monday-Friday for more Dies R Us inspiration. a gift voucher to the Dies R Us store!